The clock is ticking and time is running out to enter the MUNNY MUNTH custom contest. The deadline for all design submissions is tomorrow, June 30 at midnight PST. However, you will still be able to vote for the People’s Choice award with the Facebook like button until July 14. All winners will be announced on July 15. There are a bunch of crazy categories, tons of prizes and a panel of celebrity judges looking on. The grand prize design will land a spot in Dunny Series 2011! 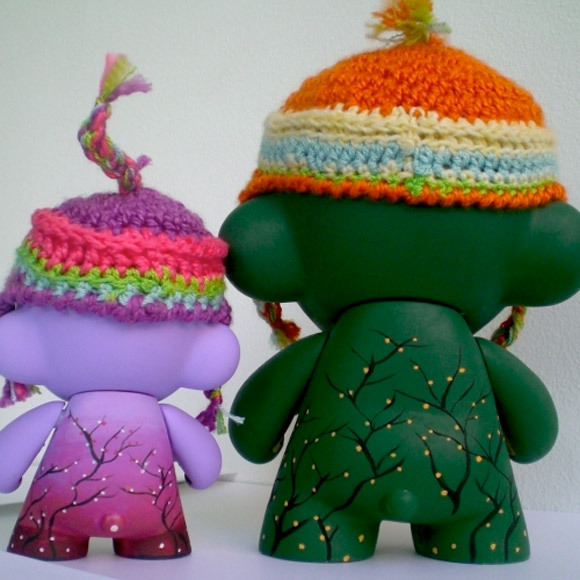 Today we highlight the awesome two-some, Indigo and Green for our MUNNY D’jour. 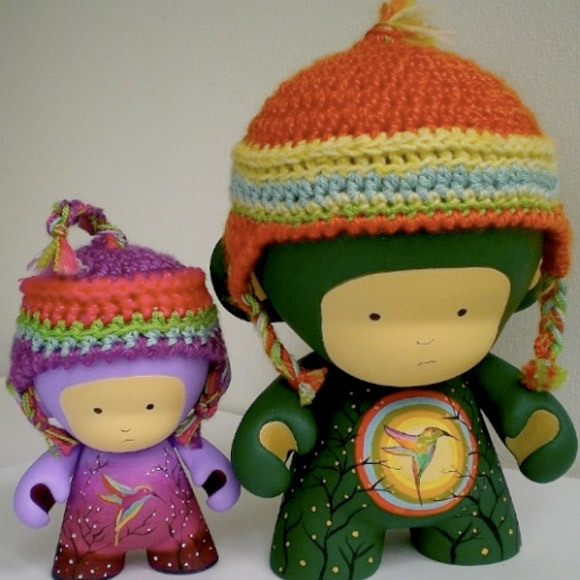 This cute duo is designed by Mariana Fuentes of Caracas, Venezuela and was purchased at Freak Store.